Kids like animals. Kids like making animal sounds. Kids like iPhones. Parents appreciate good design. Everyone will like Speak, Piggy! Speak, Piggy! is an educational app that gives animals a voice. 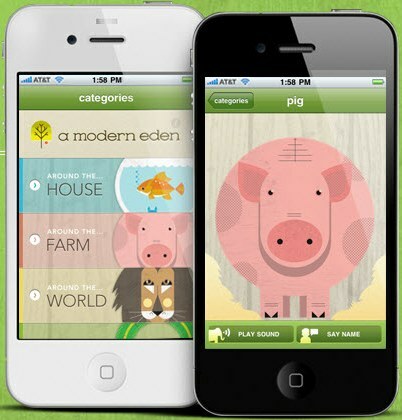 Simple animal noises – moos, roars and quacks – as well as the name of the animal and their habitat are included in this app by A Modern Eden. What sets Speak, Piggy! apart from other animal sounds apps is that it is so pretty – stylised, pastel toned animals that have an origami-like look about them are simply lovely. I also like the fact that a child’s voice is used to name the animals, quirky inflections and all. Speak, Piggy! 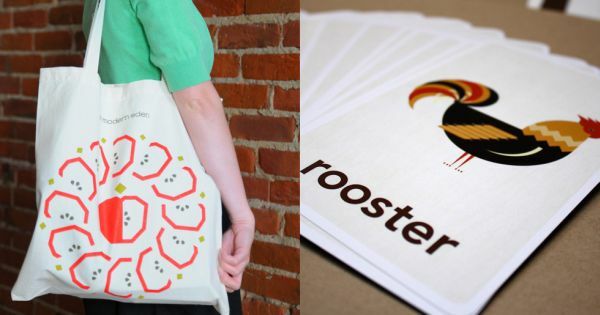 is part of the A Modern Eden brand that includes beautifully illustrated flashcards, posters and terrific canvas totes. The online store does not ship internationally at this stage however the pretty little app is available for toddlers at the App Store for $1.19.